by Seth I. Finkelstein 1/19/18 5:17 PM Follow Seth I. 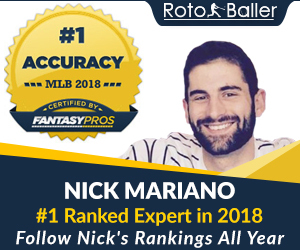 Welcome back RotoBallers! Although football season is in their conference championships, college basketball will soon be entering madness, and the NBA season is picking up, golf season is also upon us. You may be looking outside your window right now and see snow, but sooner than you expect, you'll be hitting those links and hearing those birds chirp. This is my first golf column of the golf year and I am so excited to get it started. 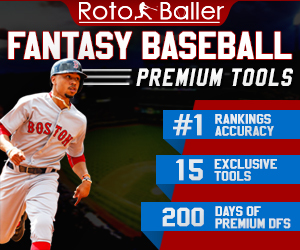 I will be using a new tool for all my stats information called Fantasy National. 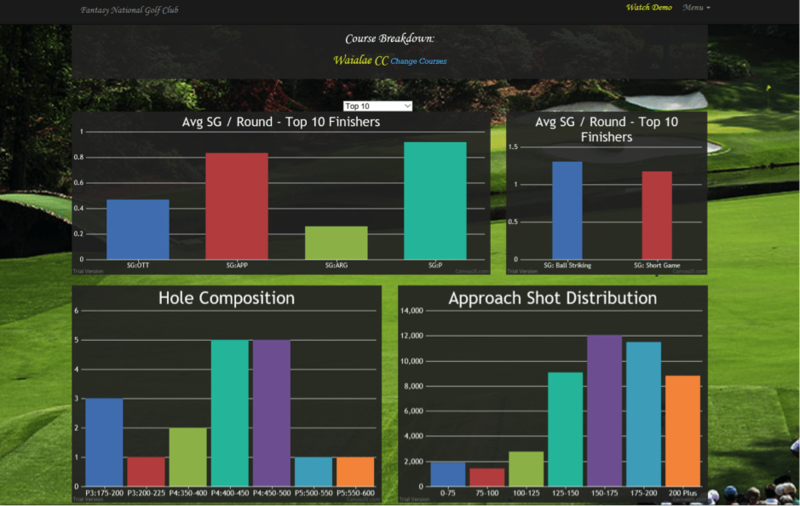 It provides incredible advanced DFS Golf stats and even custom stat tools. In this article, I will be providing you with my CareerBuilder Challenge PGA DFS lineup picks for DraftKings. My goal as always is to help put together your optimal daily fantasy golf lineups. If anyone has lineup questions before the start of the tournament Thursday morning, feel free to contact me via Twitter @Seth_Fink. Editor's Note: Our friends at Fantasy National have built some incredible DFS Golf lineup tools including a Lineup Optimizer, Stat Engine, Ownership Projections and Course Breakdowns. They are by far the best daily fantasy Golf tools in the industry. Seriously. You can read all about them here and see screenshots. What a fitting name for a tournament with young players looking to build their career. This tournament is much different than others in that it will use three courses, La Quinta Country Club, the Nicklaus Tournament Course, and the Stadium Course. Players will rotate all three and after the 54-hole cut, will play the Stadium Course again. The 54-hole cut means more players will accumulate a lot more points. All three courses are Bermuda greens, par 72, and play to less than 7,200 yards. These courses all also fairly easy; the last 10 winners have all been 2o-under or better and Pat Perez even fired a 33-under in 2009. To go one further, 2007 was the only time this generation that the winner didn't get to 20-under. This all points to birdies, birdies, and some more birdies. My custom stat model will be focusing on strokes gained: putting, birdies-or-better gained, birdies, and DraftKings points. Using my custom stat model with an equal 25% going to each stat, accounting for the last 36 rounds, I keyed on the following players. 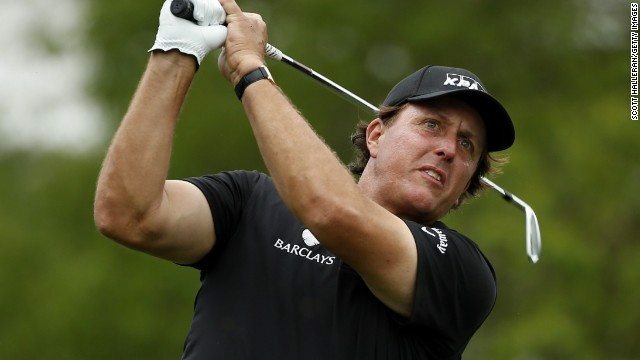 There are five players this week priced above $10,000; Jon Rahm, ($11,800), Brian Harman ($11,500), Patrick Reed ($11,100), Kevin Kisner ($10,400), and Phil Mickelson ($10,000). I will be allocating some capital across all five players. These guys are all up near the top of the three stats I'm keying on. For the sake of people playing one lineup Phil Mickelson is number one in all the stats, besides for DK points where he is third (that's dating back to last season.) This will be his first tournament of the year, but that's not something I'm worried about with one of the all-time greats. He's made his season debut the last two years at this tournament. In 2016, he shot all four rounds in the 60's finishing T-3, and last year was T-21. Kevin Kisner is in the top-10 in all three stats, and finished T-25 last year. He's off back-to-back top-25 finishes at the Tournament of Champions and Sony Open. I'd lock Mickelson and/or Kisner into your lineups. Brian Harman is also a very good option. He's had back-to-back top-5's, and dating back to 2017, five consecutive top-10's. At this event, he had a T-11 finish in 2016, and a T-3 last year. He has such confidence in his game and the ability to make the big putts when they count. After wining the RSM Classic to end his 2017, he kicked off 2018 with a 22nd at the Tournament of Champions and 18th at the Sony Open last week, which were all on Bermuda greens. This will be his debut here, but he will have no trouble playing like he's been here before. Over his last 36 rounds, Spaun is first in DK points, second in birdie-or-better gained and birdies, and fourth in 24th strokes-gained putting. He was 47th at the Sony Open last week in his first tournament of 2018, gaining 3.1 birdies. He's top-20 in all the stats I'm looking at. He had a 32nd place finish in his 2018 debut last week. He's been cut at the past three CareerBuilder's, but I expect that to change this year. Lindheim is back on the PGA Tour after winning the DAP Championship on the Web.com tour last year. He had a nice week last week placing 32nd, gaining 2.1 birdies while avoiding 1.1 double-bogeys. His putting was also in the green, which makes sense because he is number one over the last 36 rounds in SG:P. He did play here last year finishing T-50. I expect a much-improved showing after being cut at this event last year. He putted well last week, making birdies and avoiding bogeys. What a showing last week from Martin placing seventh while gaining 4.1 birdies and avoiding 2.1 bogeys. His putting from inside-15 feet was also very good. Gay is top-10 in all four of the stats I'm looking at. He won this tournament in 2013 and then went on to miss the cut the past three times. His 2018 debut saw him finish T-58 at the Sony Open last week. Our friends at Fantasy National have created some game-changing DFS Golf tools, and you can read all about them here. 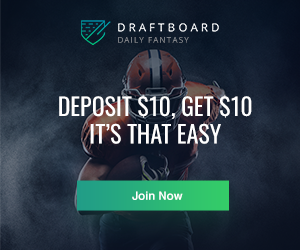 They are hands-down the best daily fantasy Golf tools in the industry.